Many of our customers choose saltwater pool systems, and BioGuard offers an impressive line of pool chemicals for them, too! BioGuard Saltscapes Saltwater Pool Care System and Mineral Springs Pool Care System are designed especially for saltwater pools. 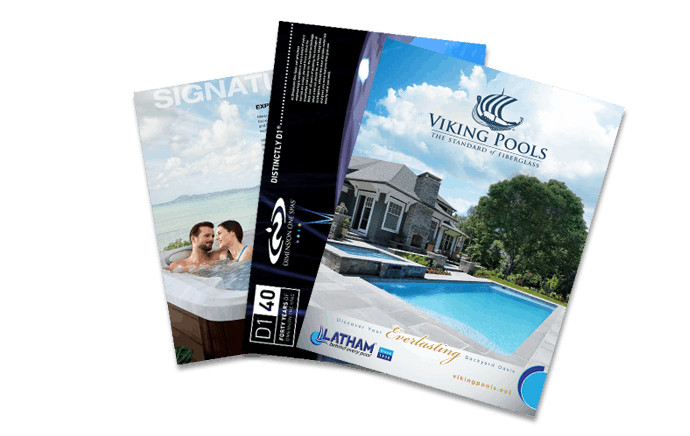 Together, these two systems deliver everything you need to keep your saltwater pool perfectly healthy and amazingly beautiful. These products are also easy on your equipment, helping to extend the life of your pool investment. Saltwater pools bring the amazing feel of ocean water right to your backyard. Enjoyed for their gentler feel to eyes and skin, saltwater pools are also easier to maintain if you have the right treatment system. SaltScapes is formulated especially for saltwater pools. This system delivers everything you need to keep your water healthy and beautiful, while protecting the pool equipment and the surfaces of the pool. All healthy, pristine pools have a beginning. For your saltwater swimming pool, that beginning is Beginnings by BioGuard. It contains all of the essential elements needed to get your pool environment started off right, as well as what is required to protect your valuable pool equipment. Formulated with only the purest salt, Beginnings has undergone rigorous testing to assure it has everything you need, without adding unnecessary chemicals to your pool. Once you’re off to a good start with Beginnings, you’ll need to add Renewal each week to replenish those mineral levels and help protect the functioning parts of your pool. Renewal balances the water, while making it feel oh-so-good on your skin. Endowed with pH balancers, it also contains filter aids and scale inhibitors for an all-in-one treatment system for your saltwater pool. Transform your “saltwater” pool into a true Mineral Springs pool with Convert. Convert makes the water as smooth as velvet, while keeping the water sparkling clean from pool open to pool close. Convert also features SunShield, which protects the chlorine from breaking down in the UV rays of the sun.